As most of you will not have noticed at all, because you have your own lives, I’ve been taking a bit of a break from social media. And it has been good. While most writers talk about taking a break from writing, I’m talking about a break from being ‘visible’, ‘out there’ and ‘switched on’. A break from that constant gnawing feeling that you should be doing something… online. Being online creates that weird paradox where you feel like you’re achieving something, but what it is, you can’t exactly say. We’re always on. And if we’re not on, there is a fear that we’re not doing enough. Or FoMO – Fear of missing out (yes, it’s a thing!) Are we using Twitter/Facebook/Instagram or are they using us? Where is the down time? Are we really interacting meaningfully, or are we just scrolling through other peoples’ thoughts, witnessing other peoples’ outrage and occasionally getting caught up in debates with people who never let the facts get in the way of a good argument. Like Bing Crosby sang, we’re busy doing nothing. But it’s all harmless fun, right? Maybe, in moderation. But the mindless compulsion to check into this social world every day in order to feel like you’re ‘engaging’, eventually becomes a bit joyless… a bit robotic. So I switched off. I put a sign on Twitter saying I was on a break (mainly as a deterrent to myself) and even unplugged the broadband. For a whole day. But then I had to plug it back in to check my email because I’m not complete lunatic. I felt bad at first – all of the people who retweet me and whom I regularly retweet might get the hump (or think I’m dead). But I had to ask myself, am I a writer or a social media personality?? The answer was simple and funnily enough, so was the break. I didn’t miss it at all. The constant need to keep up with everything, to stay connected, was gone. That restlessness was replaced by restfulness. Turns out, I didn’t need to know everything after all. But Twitter and Facebook weren’t going to let me away that easy. Notifications telling me that people I ‘know’ have all liked the same picture tried to tempt me back. ‘What is the picture?’ I wondered to myself, but I stood fast. Even when Facebook lamented the 228 followers who hadn’t heard from me in a while, did I want to rectify that?? No, they’d have to get through the day without me. Yes, you are seeing correctly – that’s my book at number three, beside Alice Hoffman’s ‘Practical Magic’. Quite the milestone! And it happened all by itself. Well, by the power of Amazon’s algorithms, which I still don’t get, but the point is, it had nothing to do with Twitter. And it’s not just me. I’ve read a lot of blogs recently where book bloggers are cutting down and in some cases, no longer taking part in blog tours. The pressure to be available all of the time is taking its toll and I think a lot of people are trying to create more of a balance, where they can participate on their own terms. They are continuing to promote books, but in a way that suits them. More and more, I see people questioning the benefits of being so switched on all of the time. There comes a saturation point where you have to step back and focus on your own path. Have I used this break to write? Nope! I’ve done NOTHING and it’s been wonderful. I’ve read other peoples’ books. I’ve been checking out designs for my new book cover with my publisher. I’ve baked! I spent half an hour trying to make some DIY Nordic Christmas decorations (damn you Pinterest!) Unfortunately, my Christmas star ended up looking like a Halloween pentagram, but hey, I made something. I’ve allowed myself to get bored. Remember boredom? The mother of all creation. I watched Stranger Things and kept all of my opinions about it to myself (it’s basically ET, right?!) I got a head cold and ‘took to the bed’ without a second thought for my abandoned accounts. And it feels so good to just let my mind be free. To not have that niggling feeling… ‘I’ll just check’. So, the moral of the story is, a change really is as good as a rest. Taking a break from social media has just made me more aware of how jaded I had become by the whole thing. And it’s not like anyone is holding a gun to my head (well, not that I’m aware of *gulp*) so all of this pressure to be ‘on’ is self-inflicted. I can get all of my social media stuff done in half an hour, so where do the other two and a half hours go? I think writers especially need time away from this social machine to create some space for creativity; to breathe and grow without this constant spotlight, demanding your attention and sapping your energy. Social media is great – in my view its benefits certainly outweigh the down sides, but it might be better in small doses. So like those people who do dry January, I’ve become all preachy and holier than thou (even though I did break my break a few times) so we’ll see how long that lasts! What about you? Have you managed to avoid getting sucked into the black hole of social media? Do you detox regularly or is switching off a step too far? If you haven’t read my books, then you really should have the FoMO! Check out my Amazon Author Page or follow the links below. Very well put Jennie! I found myself putting so much effort into keeping my timeline fresh… and for what?! What does it actually mean? I started to feel like it was sucking the life out me, just like that flipping monster!! you stopped enjoying ages ago, but you can’t get off. I was so ready for it – my sister simply remarked, ‘Jeez, you’re on that thing all the time’ and I thought, ‘God, yeah I am, amen’t I?’ *Unplug* I really don’t want to get sucked back in to old habits, so Mick’s idea sounds like a good one. I just go off social media for a week or two every now and then. It really helps you to relax and feel refreshed. I feel I get my sanity back – such as it is. Lol! Still searching at the back of the couch for mine 🙂 It’s true though, you only realise how bonkers the whole thing is when you step away. Thank you! 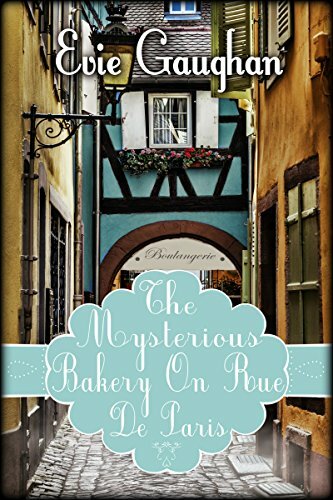 It came as such a surprise, hope there are lots of people out there enjoying the mysterious bakery as we speak 🙂 It’s interesting and heartening to hear that other people are cutting down – someone told me it’s like a race that nobody wins!